The Groundwork Greater Nottingham Towards Work project is part of a national Building Better Opportunities Programme, which is jointly funded by the Big Lottery Fund and the D2N2 Local Enterprise Partnership’s European Social Fund allocations. A community led charity with a green heart. Their mission is to create an environment in which people and their communities flourish. Through a professional, honest, dedicated, compassionate and respectful approach. GGN are the Lead Partner for the Towards Work Building Better Opportunities Programme across the D2N2 area. A local enterprise partnership for Derby, Derbyshire, Nottingham and Nottinghamshire. Their vision is to create a more prosperous, better connected, and increasingly resilient and competitive economy. The D2N2 LEP led in the commissioning and allocation of ESF funding for Building Better Opportunities. Each year the ESF helps millions of Europeans improve their lives by learning new skills and finding better jobs. 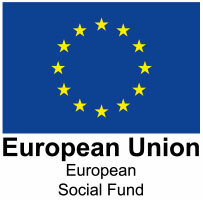 ESF provides funding for projects to increase employment levels, in particular among young people and those facing obstacles to getting a job. Initiatives addressing the long-term unemployed, the economically inactive and those at risk of poverty and social exclusion include tackling barriers to entering and staying in work by providing skills training. Actions to get women into work include reskilling, retraining and initiatives to reduce the gender employment gap. The Big Lottery Fund is responsible for distributing funds raised for good causes by the National Lottery – around £670 million last year. The BLF believe people should be in the lead in improving their lives and communities. Their approach will focus on the skills, assets and energy that people can draw upon and the potential in their ideas. They feel that strong, vibrant communities can be built and renewed by the people living in them – making them ready for anything in the face of future opportunities and challenges.